Scent Of Sicily, a team of passionate Sicily lovers. 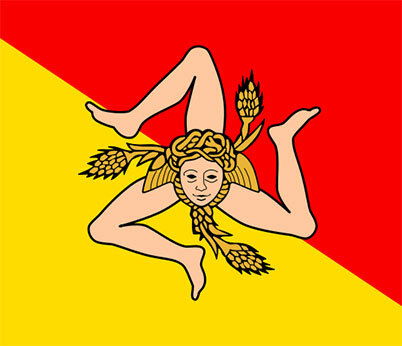 Whether you have been to Sicily or you haven’t visited this island yet, you most certainly are familiar with the Sicilian flag: have you ever wondered what that face with three legs stands for? That’s what our new post is about. Like most flags of the world, the flag of Sicily has undergone various changes through time, but its two main elements have always been there: the head of Medusa (the mythological Greek “Gorgon”) and the so-called “triskelion” (triscele or trinacria in Italian). The Greeks associated this ancient symbol with Sicily during the Magna Grecia period, when they conquered the island and discovered its triangular shape: the three legs stand for the three large capes that mark its edges (Greek “tri”, three, and “akra”, limb): Lilybaeum (Western cape), Pelorus (Eastern cape), Pachinus (Southern cape). The flag of Sicily was first adopted during the huge Sicilian Vespers revolution against King Charles Ist, with the colors of red and yellow, still used nowadays and symbolizing the union of Palermo (the capital of the island) and Corleone (once an important agricultural centre of the countryside), the first districts to join their forces during the fight against the king. And what about the ears? 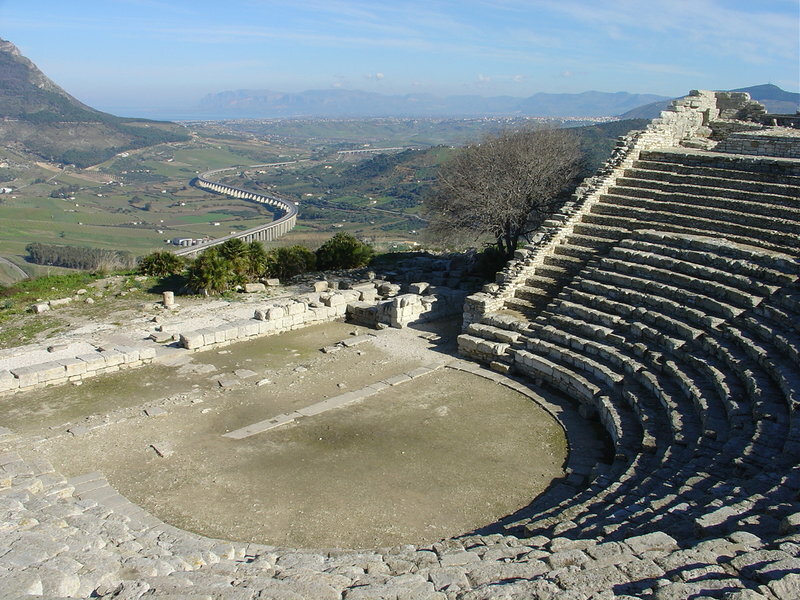 … According to the evidence, the Greeks first used wheat ears to illustrate the prosperity of the Sicilian territory; when the Romans invaded the island, they used grain ears to underline its status of “Barn of Rome”. During the Sicilian Vespers the Greek version has been used though, as the Roman version was perceived as a statement of submission. Scent of Sicily is a brand of the company ING Property s.r.l.